we went to the Wild Bird Center and bought a few new attracters for the birds. One was this woodpecker feeder, you fill it with peanuts and the birds will follow…isn’t this the cutest little woodpecker you have ever seen? I think he really likes it! oops, shhh…he spotted me…hee hee…well truth is I put out the feeder filled it with peanuts walked into the house looked out the window and there was a red headed woodpecker feeding I couldn’t believe it, the guy told us it would attract them but I didn’t think I would see one in the first few minutes! So I ran to get my camera and it flew off before I got the shot…so I sat patiently like all good bird-watchers do and he came again as soon as I lifted the camera to take a pic off he flew…and I haven’t seen one since! 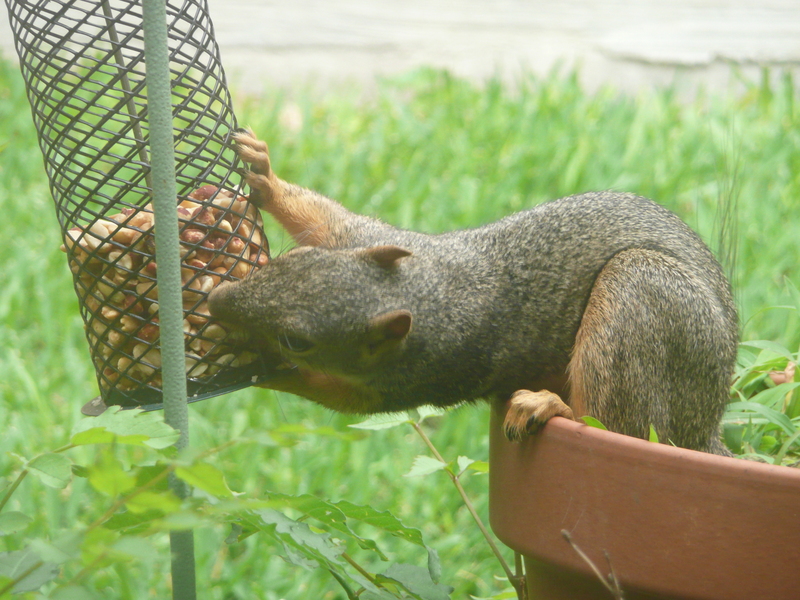 But the Blue jays and a few finches come by and of course my furry little friends love it! 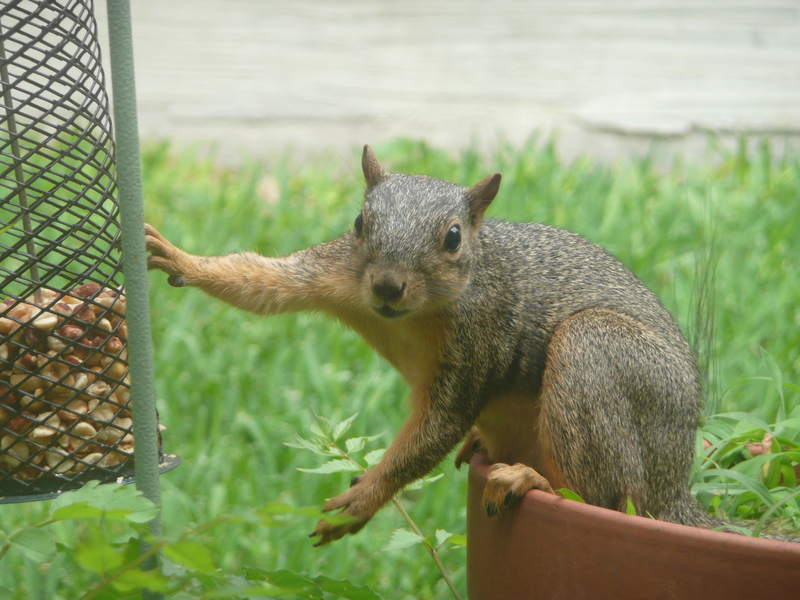 meanwhile at the next feeder a true balancing act is taking place…this little guy is going to need a chiropractor if he keeps this up! 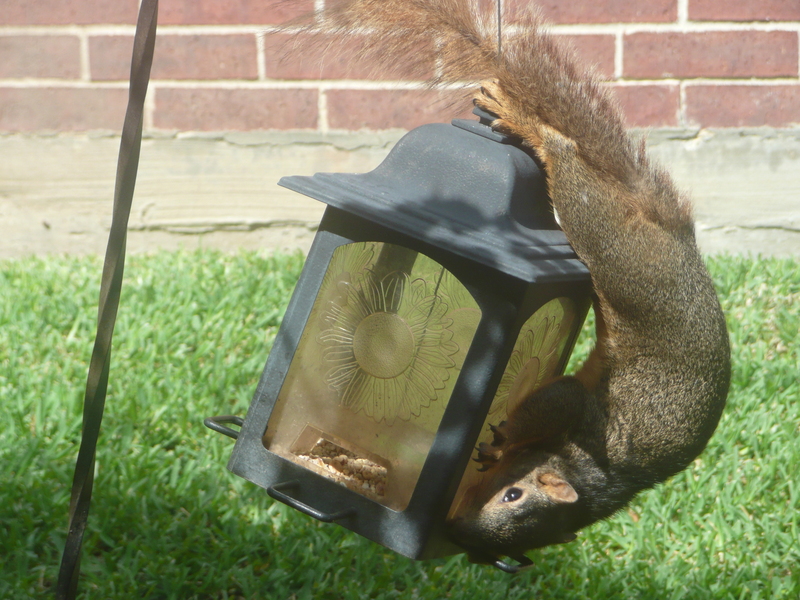 This entry was posted in Personal Happenings and tagged balancing act, peanut feeder, squirrels, Wild Bird Center, wood pecker. Bookmark the permalink.